Give your time! 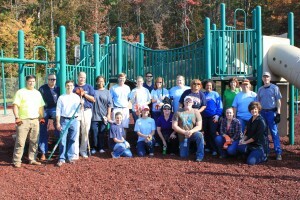 | Glenwood, Inc.
Glenwood loves volunteers–from the hard-working painters and landscapers to the “Fun Day” party planners to people with special talents and skills they want to share with us. If you, your club, organization or family and friends would like to spend a day devoting your time to enriching the lives of those served by Glenwood, please fill out the volunteer interest form here!